This is how I know Bro is interested in something. The last time this happened was when I basically went through the whole filmography of Oscar Isaac. He was fake-mad at me for watching Inside Llewyn Davis & The Two Faces of January without him after I told him about Oscar Isaac's sadsack music guy in the former & his straightened hair in the latter. Lately it's Michael Rooker. I'm surprised. Coz I told him about the ECCC panel Rooker did with Sean Gunn and if their Guardians of the Galaxy characters are anything like them in real life, I can see how Yondu & Kraglin might behave on the Eclector. Then I told him about the Looper video on Rooker. Which led me to the interview he did with Paul F Tompkins. Asked if I should send the one with PFT to him coz PFT is delightful and he actually asked for all 3 videos! Ever since Adrian Pang set up Pangdemonium in 2010, I've been wanting to attend one of their productions and I came close when they staged Fat Pig, the play by Neil LaBute, the same guy who did The Shape of Things—a four-hander play that I still think is pretty easy to stage locally without much change in context or a lot of props/set building even (said the person who has no theatre training at all). So when they announced they're doing Rent this year, I'd kept my eye on it until they opened up ticket sales in Aug and pounced. For all its fame and my love for musical, I have never watched the Broadway production (because I'm a poor student from Singapore when they ended their Broadway run in 2008, a poor student when they toured it here in 2005 and underage when they did their first production here in 2001) and the movie it is based on (because I'm still a poor student when they showed it in the cinema). I never even listened to the cast album because I didn't even know there was such a thing. I only know the song Seasons of Love because who doesn't know Season of Love?! Of course I know there *is* such a thing now but I didn't want to raise my expectations too much by watching/listening to previous recordings and adaptations before I watch them in Oct so I'm going into Pangdemonium's production of Rent completely blind. And boy was I glad I did! As I write this almost 10 days after watching, I have the movie playing in the background and like all adaptations, you really can't compare apples to apples because even though the story is the same, the medium in which it is presented on is different. Some things, the theatre production does better than the movie and some things, the movie did better than the theatre production. 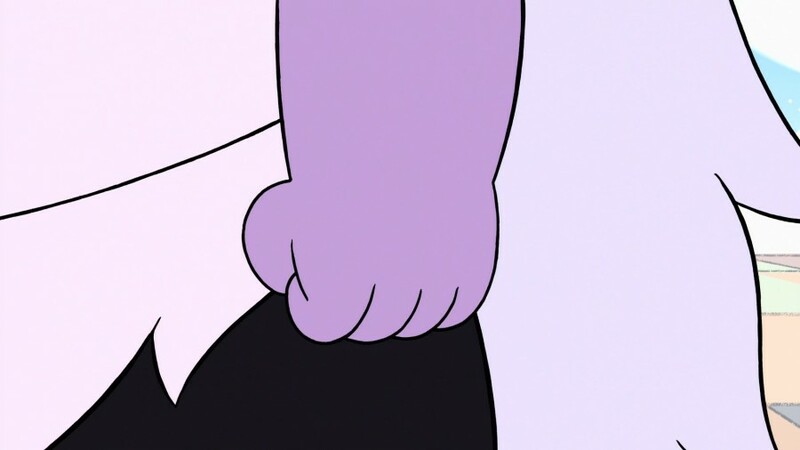 Watching Steven Universe 3x19 Steven vs Amethyst f’d me up so much. 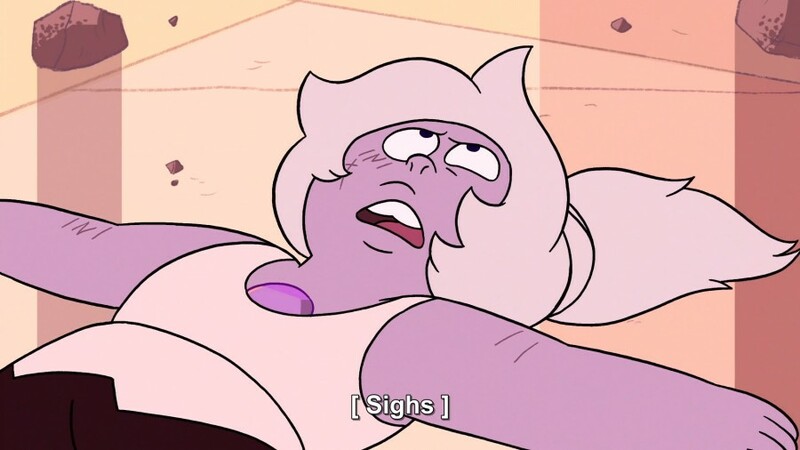 When will I figure out what I want to do with my life? Charlie Day aka world's smallest man with a squeaky scratchy voice. I've had him pegged ever since Meenah gave him the nickname of Nubs McShouty way back in 29 May 2012. But the main point of this post is something I've been trying very very hard not to do since early this month. I have officially headcanon'd TJ Miller as Gamzee Makara. That's right. I went there. Been crazy into TJ Miller this past 2 months so I've been reading up on him a lot and watching a lot of his stand up. Since I've only known him from movies and TV, I wasn't sure what to expect but I sure wasn't expecting his weird stand up sets & live shows. So here are some things I found out about him. TJ Miller: Crazy curly hair. Smokes weed. Juggles & unicycles. (As Erlich Bachman in HBO's Silicon Valley): Uses Motherfuck! a lot. Loves Fage (pronounced Fa-yeh). Gamzee Makara: Crazy curly hair. Eats sopor slime pie that makes him stoned. Juggles & unicycles. Uses MOTHERFUCK a lot. Loves Faygo. Do you see what I'm getting at here? Until now! Or rather, he'd done this in Jan 2016 but I only read about it yesterday. Apparently he'd stuff himself into a suitcase full of clown horns and let another man push and shove to get the suitcase to close on him. In which Poe Dameron is the best plot advancer of all time! So. Star Wars The Force Awakens. I like it. It reminds me of the original trilogy mostly in a good way (nostalgia filter is strong in this one) but I'm not sure if people who don't know much and/or watched the original Star Wars before will appreciate all the callbacks and the way some scenes were shot in the style of the original films. But there's the main point of this post. It's been one month since I saw The Man From U.N.C.L.E.